Cayla and I watched the last few episodes of the award-winning TV series, LOST, a couple nights ago, and I think it merits a response. We were in Bangkok when the finale aired, so it took a considerable amount of rudeness to keep friends and family from spoiling it. I even resorted to the juvenile fingers-in-ears-while-making-noise-thing a couple times. But thankfully nothing was spoiled, and we made it all the way to the end as clueless as when we started the series. 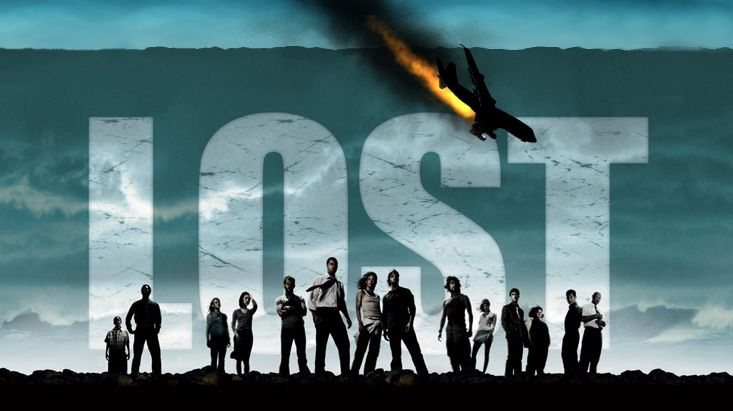 I know this is a little belated, but I’m joining the countless bloggers by posting my reactions to LOST. **WARNING: There are spoilers ahead. If you’ve seen it or don’t care, read on. Now, this progression wasn’t as ‘consumable’ as most people prefer. Or a better way to say it might be that the show wasn’t something you just watched casually and then walked away from. It’s not as light ‘n fluffy as Friends (which, admittedly, I also liked) or as neatly gift-wrapped as Family Matters (also a great show! ), which leads me to my next reaction. (2) LOST is messy. The writers allegedly wanted the show to have a more real-life feel, so they intentionally made it a little messy. This must also be why they put a death-dealing smoke monster in the story; doesn’t everyone deal with that in real life? Regardless, they succeeded at leaving loose ends in the story, and they definitely left us hanging. But I appreciate that they crafted it in a way that forced the audience to think for themselves. You had to be OK having to think about – and sometimes never get – all the answers. Now, I might be wrong, but I think the writers practiced what they preached. Life’s rarely neat and tidy with all the answers, and they didn’t present it that way. Jack had to “let go” and just trust that things would work out. It was his “highest passion.” Likewise, viewers had to relax and enjoy the ride while trusting that, in the end, the story would work out. Of course, having faith in a TV show and having faith in something worthwhile (like Jesus!) are very different things, but you get my drift. (3) LOST is beautiful. There’s nothing quite like a well-told story, and, to me, LOST was that times 10. The cinematography, the themes (redemption! ), the music, the character arcs, the references to philosophy and religion – I loved it all! The consistent onslaught of goosebumps and clogged tear ducts made the show’s confusing plot-line seem like no big deal. I was too mesmerized by the quality of the show to worry about everything fitting together. So I guess t his is my ultimate ‘reaction’ to the series: BRAVO. Because I’ve never seen a show quite like that, and I sincerely doubt I ever well. I recently finished a little book entitled Fear and Trembling and – as you roll your eyes – I’d like to take a second of your time to explain what Kierkegaard does to make me like him so much. But for those of you who’ve read him you know it’s more fitting to clarify what he doesn’t do rather than what he does. He doesn’t provide neatly packaged answers, he doesn’t simplify at the expense of clarity, he doesn’t attempt to postulate his own (or add to anyone else’s) version of ‘the system’, and he doesn’t avoid tension of any kind – theological, philosophical, logical, etc. The Scriptures contain a lot of things that just don’t make perfect sense, but, rather than attempting to force them to make complete sense, he says we should simply believe and obey them – even when they’re a little painful. He believes the Bible enough that he’s unwilling to turn its stories into pop-up books with bright colors and put it on display in Mardel. For him, a person must approach the Bible as either absolute garbage or as the Truth of God – but it’s scary regardless. As Ben would say, the Bible may not be as family-friendly as we’ve made it out to be. Now, Kierkegaard isn’t infallible and I definitely have trouble fully agreeing with (and understanding!) a lot of what he says, but I love that he doesn’t try to reconcile all the classic theological problems. This brings me back to Fear and Trembling. Kierkegaard uses the story of Abraham on Mt. Moriah (Genesis 22) to answer the question, “What is faith?” He argues that Abraham’s intention to sacrifice of Isaac on Moriah is either murder, obedience (faith), or both, but we can’t pretend like the story’s tension isn’t important for us. Right standing with God through faith is pretty central to the Bible’s message, and Abraham is usually considered the father of all that. Or do you think that the outcome of the story is what justified Abraham before God? Abraham was reckoned righteous because he rode for three days, tied his son onto a pile of sticks, and raised the knife without hesitation – not because God spared Isaac. But we breathe a sigh of relief and excitedly retell the story. I mean, it has such a happy ending! And no, I’m not cynical I’m frustrated! It’s difficult for me to grasp the horror of Exodus 33 because I put so much emphasis on the ending. I don’t try to understand the anguish Abraham must have felt during his trip into the mountains, how deplorable it would seem to watch an old man tie his son with the intention of bleeding him out and then burning the remains, and I especially don’t try to understand why God would command it. I mainly just focus on the conclusion. I’ll admit, anytime I hear someone say “God told me” I get a little skeptical. I mean technically God has “told” people a lot of things – at least according to them. He told some people to fly airplanes into buildings, others to get this or that job in this or that city, a few to drink the kool-aid, some to marry a guy or break up with a girl, He told some which school they should go to or which classes they should take, and He told One to die on a cross. Faith is a scary thing. It’s a scary thing because it can’t be completely proven or completely denied, it has to be worked out in fear and trembling. Most of us have heard the story so many times we’re deadened to it, but try to be there: you’re following Abraham into Moriah, up the mountain, and – hidden from view – looking on in horror as he raises the knife to kill his kid. From a moral standpoint this is horrible right? Yet this is sung about at VBS and remembered by many as an act of incredible faith. My point is that faith isn’t as simple as intellectually assenting to a specific set of values or to some ethical framework. Faith is often irrational, maybe even always irrational. These are just a few thoughts I’ve had while reading this book. Kierkegaard believed God calls His followers to a higher law than just the moral law (Teleological Suspension of the Ethical). Sometimes, in order to test, preserve, and strengthen our faith, God commands us to do something that seems contradictory. So, if this is true and we can’t always determine faith by morality, how can we know ‘true faith’ from ‘false faith’? How do we know whether or not someone is right when they say “God told me”? I obviously need to keep reading, but I’d love to hear your thoughts.